Did you know that Wednesday of this week was Registered Dietitians Day? I wanted to take time to acknowledge our wonderful team of dietitians at Chrysalis because every day feels like RD day to us; quite literally, we could not do our jobs without them! All professional practice guidelines for eating disorder treatment state that a multidisciplinary team approach, which includes nutritional care with a registered dietitian, is the gold standard. In addition, the Joint Commission actually requires any organization that is accredited for the treatment of eating disorders (which Chrysalis is) to provide nutritional assessment and “nutritional rehabilitation” to their patients. Furthermore, all disciplines within the field of mental health (psychology, social work, and professional counseling) have a portion of their ethics code that addresses scope of practice. This means that any therapist who treats eating disorders (or other medical conditions requiring nutritional counseling) has to be referring to and collaborating with a registered dietitian in order to be complying with their ethics. Simply put, mental health clinicians are not allowed to treat what we aren’t trained in! While all our dietitians are extremely competent in treating eating disorders, they each have unique specialties they offer to diversify the nutrition services we can offer at Chrysalis. Chaundra Evans, RD, LDN, CEDRD-S is also an expert in the care of weight loss surgery patients and is certified in adult weight management. She offers a compassionate, non-diet approach to those with binge eating disorder, emotional eating, and medical conditions due to obesity. Chaundra is an outstanding public speaker who has presented locally, regionally, and nationally on topics related to eating disorder treatment and bariatrics. Terri Mozingo, RD, LDN, CEDRD is the Director of Nutrition for our Intensive Outpatient Program, chosen for this role because of her wealth of experience treating eating disorders at higher levels of care, including inpatient settings. She is especially passionate about working with patients with complex medical issues given her background in hospital-based nutrition. Terri is also an expert in pediatric nutrition, treating children and adolescents with a wide variety of presenting concerns and is certified in child and adolescent weight management. She provides education to kids and their parents to offer a non-diet, shame-free approach to treating pediatric obesity. Sarah Voegtle, RD, LDN, CSSD rounds out our team with expertise in sports nutrition and food allergies, holding specialized certifications in both areas. Sarah has extensive knowledge and is passionate about offering nutritional counseling and eating disorder treatment to military service members and their loved ones, having previously worked on Camp Lejeune with this population. She is also an integral member of our Intensive Outpatient team, providing nutrition groups and meal groups in that program. It is often a misconception that a client has to be in therapy at Chrysalis to see one of our dietitians. All three of our team members accept outside referrals and gladly collaborate with any referring party, whether it be a mental health clinician or a medical provider. In addition, to participate in our IOP, a patient does not have to see one of our dietitians individually; our nutrition director will communicate with any outpatient dietitian to ensure that a participant’s meal plan is being met. Chrysalis Center’s mission is to offer expert level, integrative, evidence-based treatment to all of our clients. Hopefully after reading this, you see why our dynamic group of RDs is crucial to the success of our program and to healthy outcomes for our clients. Thanks Chaundra, Terri, and Sarah for all you do! Learn more about our dietitians here. Kelly Broadwater, LPA, LPC, CEDS-S is the founder and executive director of Chrysalis Center. A certified eating disorders specialist, she has had the privilege of working side by side with registered dietitians her entire career. As the new year approaches, many people start thinking about making resolutions. The practice of setting resolutions actually dates back 4000 years. During a massive 12-day religious festival, the Babylonians crowned a new king or reaffirmed their loyalty to the reigning king. They also made promises to the gods to pay their debts and return any objects they had borrowed. The ancient Romans began each year by making promises to the god Janus, for whom the month of January is named. With thousands of years of practice, you’d think we’d be better at achieving resolutions. The reality is, while 45% of people make resolutions only 8% of them achieve them, with 80% of resolutions “failing” by the second week of February. Why set yourself up to feel bad in five weeks or less? A more effective practice, taken from Acceptance and Commitment Therapy, would be to set values-based goals. Acceptance and Commitment Therapy (ACT) is a type of research-supported therapy that uses acceptance and mindfulness strategies, together with commitment and behavior change strategies, to increase psychological flexibility. Psychological flexibility means connecting to the present moment fully and changing or persisting in behavior in the service of chosen values. Many of the groups offered at Chrysalis are based in ACT. 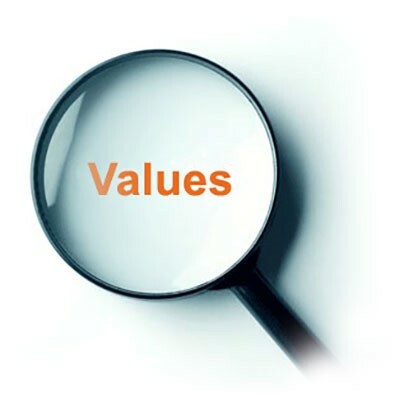 According to ACT, the first step, before any goal setting is to clarify what value(s) is (are) underlying your goals. Studies have compared goal setting alone, versus goal setting plus values clarification, and found that those who identified their values actually performed better. •Specific: specify the actions you will take, when and where you will do so, and who or what is involved. •Meaningful: The goal should be personally meaningful to you. If it is genuinely guided by your values, as opposed to following a rigid rule, or trying to please others, or trying to avoid some pain, then it will be meaningful. If it lacks a sense of meaning or purpose, check in and see if it is really guided by your values. •Adaptive: Does the goal help you to take your life forwards in a direction that, as far as you can predict, is likely to improve the quality of that life? •Realistic: The goal should be realistically achievable. Take into account your health, competing demands on your time, financial status, and whether you have the skills to achieve it. •Time-bound: to increase the specificity of your goal, set a day, date and time for it. If this is not possible, set as accurate a time limit as you can. Hopefully trying a different approach to a time-honored tradition leads to better success with achieving your goals. Cheers to a happy and healthy 2019, living your life in harmony with your values! Kelly Broadwater is a psychologist who uses ACT in her individual therapy and as a group facilitator. She helped develop the Mindful Living group series offered at Chrysalis, which is ACT and DBT informed. Her motto, informed by her values, is “Work hard, play hard”. Throughout the past few weeks, as our community has been devastated by Hurricane Florence and her floodwaters, I’ve found myself turning to skills that for the past 10 years I’ve helped teach clients in our Mindful Living group. This group is informed by the principles of Dialectical Behavior Therapy (DBT) and Acceptance and Commitment Therapy (ACT). The 4 main tenets are: distress tolerance – coping with stress and difficulty in constructive ways, mindfulness – staying in the present moment, emotion regulation – identifying and accepting both positive and negative emotions without becoming overwhelmed by them, and interpersonal effectiveness – utilizing effective coping skills such as assertiveness and setting boundaries within our relationships. As I was evacuated to Florida with my family for over a week and reflecting on the use of the same skills I teach others, I received a message from a client who recently just completed a round of Advanced Mindful Living. With her ever present humor, it simply said, “I’ve been mindfully living like a mutha”. Thus, my blog was born – how student and teacher alike have applied these skills in the most trying of times. This client was gracious enough to agree to co-author this piece with me and share her experiences of using mindful living skills during Florence and the aftermath. One of the most popular and useful tools from the distress tolerance portion of Mindful Living is the concept of “Radical Acceptance”. The idea behind this is that while we can’t avoid pain, we can avoid suffering (which is what happens when you have pain plus non-acceptance). This doesn’t mean we have to like or approve of bad things that happen, but that “it is what it is” and “this too shall pass”. We can’t control certain situations (in this case, a hurricane that’s projected path was literally a line going through my backyard), but we can control our reactions to those situations. Staying in the present moment can be very hard in crisis. It’s natural to get caught up in “future tripping”, imagining all the worst-case scenarios, worrying, and what-iffing. Mindfulness teaches us to breathe, brings us back to center, and focus on the here and now. Children are wonderful examples of mindfulness practitioners. So as I started to get caught up in the worries of what could happen to my friends who stayed, my house, my belongings, my office, my friends’ houses, my clients, etc. etc., I’d look to my almost 2 year old who was blissfully oblivious to what was happening in Wilmington, happily coloring or splashing in the pool and remind myself, “All we have is the right now”. During mindful living one of the distress tolerance techniques that helped me the most was going to my safe place. Even though I was surrounded by scary wind and rain, my apartment literally feeling like it was going to blow away, going to my quiet beach house in my mind, the ocean sounds loudly crashing on the rocks outside, was helpful. Physically I was stuck in my apartment scared of what Mother Nature was doing outside of my window, but in my head, I was at my safe place tasting the salt water and feeling the sand blow softly. Staying mindful that the storm can thankfully only be temporary and it won’t last forever (even though it felt like it would) gave me some peace. 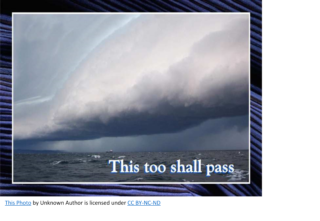 “This too shall pass” are the words that kept flashing in my head like a neon sign. Another thing we learned that helped me “weather” hurricane Florence was staying in the present moment. Having a daily battle with anxiety the way I do, being in the present moment is very difficult for me because I constantly worry about tomorrow or if it tomorrow doesn’t come or if it does come, what it will bring. Staying mindful that it was a storm, remembering that the noise is rain, and the feeling I felt in the pit of my stomach is just worry, helped to diffuse the anxiety. 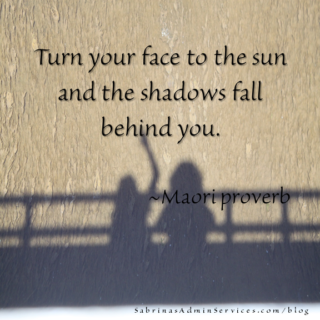 As emotion regulation taught us, feelings will pass- just like the storm will eventually pass. This helped me avoid a few panic attacks. One more skill from emotion regulation I applied was naming the feelings that I felt in my stomach, in my chest, and in my heart and the nervousness I felt in my hands. Normally when those emotions arise, I usually go straight into a panic attack because I don’t recognize why those emotions are there and I jump straight to what they could be instead giving them a name and reason. Labeling them allows me to overcome the emotions and not let the emotions overtake me. Chrysalis Center will be starting a new round of Mindful Living Group, which runs for 12 weeks, within the next month. For more information, please call our office at 910-790-9500. Kelly Broadwater, LPA, LPC, CEDS-S developed and co-facilitated the Mindful Living group series alongside Kendra Wilson, LCSW, CEDS, DBT-C at Chrysalis. These groups have successfully run for a decade and produced dozens of “graduates”, many of whom have gone on to complete our Advanced Mindful Living group. It has been her pleasure to see so many individual clients make progress utilizing the skills taught in these groups and then to thrive moving forward, continuing to apply them in their lives. Do people actually recover? What does full recovery look like? Is it like alcoholism that once you’ve had an eating disorder you’ll always have an eating disorder? Clients, loved ones, and even the general public have often asked me these questions repeatedly over the years that I’ve specialized in treating eating disorders. We often hear the grim statistics that eating disorders have the highest mortality rate of any mental health diagnosis and that the average length of treatment is 4-7 years. There is even a new subset of eating disorders garnering attention in the treatment world known as Severe and Enduring Eating Disorders (SEED), which are chronic forms of eating disorders lasting 10 or more years that are unresponsive to multiple attempts to treatment. However, there is hope! An often overlooked statistic is that with treatment, 60% of patients recover from eating disorders. Early intervention improves outcomes. And thanks to mental health parity, increased advocacy efforts, and the growing need, access to treatment is more widely available. Recovery is not one size fits all. It looks different for each individual. The latest research suggests that a full year without eating disorder behaviors is a strong indicator of recovery. There are also broad phases of recovery that have been identified: physical recovery, behavioral recovery, and psychological recovery. Physical recovery includes medical stabilization, restoring a healthy weight, and overcoming symptoms related to malnourishment. Behavioral recovery involves symptom cessation, while psychological recovery addresses underlying issues contributing to the development and maintenance of an eating disorder. Psychological recovery may include treatment for comorbid mental health problems, resolving trauma, addressing family or relationship issues, overcoming perfectionism, letting go of food rules, and developing healthier body image. Recovery is best achieved with a multidisciplinary team approach that includes a therapist, dietitian, medical doctor, and psychiatrist (when indicated) who specialize in eating disorder treatment. The involvement of loved ones is also crucial; having a strong support network of family, friends, and others in recovery improves outcomes. Realistic goals and patience are vitally important in the recovery process. Expect that lapses or relapses can be part of the recovery process- after all, a person with an eating disorder has to face every single day, multiple times per day, what they struggle with the most. 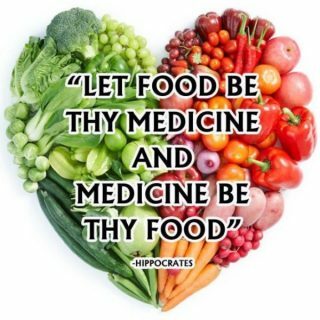 Research has shown we make 200+ food related decisions per day. 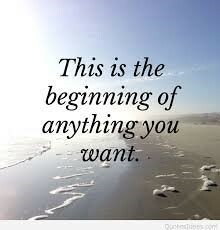 Imagine how overwhelming that can be to someone new to recovery! Being able to identify and minimize or handle triggers is yet another part of the recovery process. A person in recovery is vulnerable to triggers at any time, but especially during times of life stress or transition. The final workshop I attended this year at the International Association of Eating Disorder Professionals Conference was entitled, “The Neuroscience of Hope in Eating Disorder Recovery”. In this talk, Dr. Ralph Carson spoke about the fact that humans can actually increase the density of cells in their left prefrontal cortex, the part of the brain responsible for positive emotions. He stated that hope requires continuous renewal and recommended the following: keep a gratitude journal, surround yourself with supportive people, ask for help when challenged, avoid people and media that diminish hope, and identify your personal strengths and values and use them! These are wise recommendations for anyone, but essential for everyone in the recovery process. It’s important to remember it’s just that- a process- and to have HOPE that it will happen. Kelly Broadwater is a Certified Eating Disorders Specialist with over 15 years of experience in the field. In that time, she has proudly walked beside numerous clients in their journeys to full recovery. As we wrap up National Eating Disorder Awareness week, with this year’s theme of “Let’s Get Real”, a major focus of the campaign is on ending stigma. 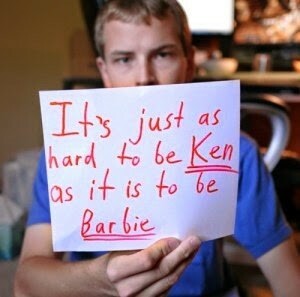 One group of people who struggle with being stigmatized the most are males with eating disorders. It is a common stereotype that only women struggle with eating and body image issues, when in reality 1 in 3 people with an eating disorder is male and 10 million males in the United States alone will be impacted by an eating disorder at some point in their lives. There is also a commonly held misperception that the only males who suffer from eating disorders are homosexuals; actually, the majority of men with eating disorders are heterosexual. Men and boys of all backgrounds experience eating disorders, and there is a high prevalence rate amongst athletes. Just this week, Seattle Mariner’s catcher Mike Marajma opened up about his battle with an eating disorder (https://www.nationaleatingdisorders.org/blog/seattle-mariners-catcher-mike-marjama-has-message-men-struggling-eating-disorders). Sports that focus on weight restriction as a means for improving performance create increased vulnerability for the development of eating disorders. Gymnasts, runners, body builders, rowers, wrestlers, jockeys, dancers, and swimmers are at risk when pressure is put on them to achieve a certain weight. Men often go undiagnosed or untreated for a variety of reasons. They are less likely to seek treatment and more likely to be overlooked by medical professionals. Eating disorders in general have the highest mortality rate of any mental health condition and studies have shown that males have an even greater risk of dying from an eating disorder than their female peers; again, a lag in proper diagnosis or barriers to seeking treatment can contribute. To highlight this, the last male with anorexia that I encountered clinically had been seeing a therapist for a year for anxiety and had undergone extensive medical testing for reported GI issues. He’d lost over 40 pounds in a short period of time and was at roughly 65% of his ideal body weight when I encountered him in the hospital (he was there for flu and dehydration). No one had recognized that what he was dealing with was in fact an eating disorder. He ended up requiring months of inpatient hospitalization to help him restore weight. Luckily there are more intensive treatment options for men with eating disorders available as the field recognizes the need to offer gender inclusive treatment. In fact, a review of hospitalizations for men with eating disorders showed a 53% increase over a 10 year period from 1999-2009. If you are a male struggling with an eating disorder, or know a male who is, know that help is available! This Monday, October 9th, a years long dream will become a reality. Chrysalis will begin offering our IOP for adults 18 and older with all forms of eating disorders. IOP is considered a step up from outpatient care and a step down from partial hospitalization, residential, or inpatient eating disorder treatment. It is appropriate for those who are able to live independently, but require more structure and support than typically achieved by attending once weekly individual and nutrition therapy. It is also a useful way for those who’ve been at a higher level of care, with nearly constant supervision, to transition back to “the real world”. 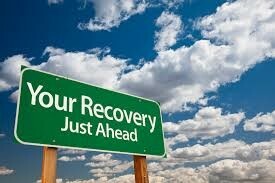 For those who’ve been away at treatment, IOP serves to help prevent relapse and sustain recovery. Our mission is to offer expert level, evidence-based treatment to our clients dealing with all types of eating disorders (including anorexia, bulimia, and binge eating disorder), while also addressing co-occurring issues such as anxiety, depression and other mood disorders, trauma, and substance use. Our goal is to provide individualized care that targets every aspect of the client’s well-being in order to improve medical, nutritional, psychological, and interpersonal functioning. We seek to understand and challenge the underlying and maintaining factors of the eating disorder in order to achieve and sustain lasting recovery. It is our desire to restore hope and health to clients by empowering them to fulfill their goals, make positive changes, and prevent relapse. We believe that collaboration amongst the treatment team, clients, families, and the community will facilitate a path to successful outcomes. Our program will be offered Monday, Wednesday, and Thursday from 3pm-7pm and will include a variety of group therapies, ending each day with a supportive meal led by a registered dietitian. These meals will rotate between catered options, “brown bag” or potluck dinners, and restaurant outings so that clients experience a variety of exposures to food challenges in different environments. Therapy groups include the ACT/DBT informed Mindful Living, Staying Open about Recovery, Motivation for Change, and a general Process Group. Additional specialty groups for trauma survivors and those dealing with substance use will be available dependent on the needs of the clients enrolled at any given time. Yoga and art therapy groups will also be incorporated into our programming. Those clients interested in IOP can self-refer or have their treating provider (therapist, dietitian, or medical doctor) make a referral. Pre-screening with our clinical director will be required to determine if IOP is the appropriate level of care. All clients will have to undergo a medical evaluation to ensure their physical stability prior to being admitted into the program. If a client is already connected with a therapist or dietitian, they can maintain their current treatment team while also attending our IOP program. Close communication and collaboration between the IOP team and the referring provider will occur. If a client does not have a treatment team (i.e. therapist, nutritionist, or psychiatric provider) in place, Chrysalis will offer those individual services as well to round out the treatment experience. As we are the only eating disorder specific IOP within a 130 mile range, we will also accept clients from out of town. Our director of professional relations will work with those clients to attain affordable lodging options. Insurance typically covers IOP level of care with prior authorization. Our helpful administrative team will assist clients to determine their benefits and to obtain the authorization required to attend IOP. If we are not in-network with a particular insurance company, our utilization review department will strive to negotiate a single case agreement with the individual’s carrier. Once enrolled in the program, our hope is that at least 6 weeks of continuous care will be approved. Our staff is a friendly, knowledgeable mix of experts in the field. Our clinical and nutrition directors are a certified eating disorders specialist and a certified eating disorders registered dietitian, both with previous experience working in higher levels of care for eating disorder treatment. Our IOP therapists and dietitians have specialized training and experience in the groups that they facilitate. Chrysalis’ program is licensed by the NC Department of Health and Human Services and accredited by the Joint Commission. Making the decision to pursue IOP care is a big step in the recovery process and should be applauded. Visit http://chrysaliscenter-nc.com/iop/ for more information about the schedule, specific descriptions of the groups offered, and to meet our leadership team. If you have further questions about our program or to request a screening, please contact us at 910-790-9500 or iop@chrysaliscenter-nc.com. Kelly Broadwater, LPA, LPC, CEDS is the founding executive director of Chrysalis Center. She is extremely grateful for the IOP leadership team who has put in countless hours of blood, sweat, tears to develop the program (and write more policies and procedures than she ever thought imaginable) and excited to see what the future holds as the IOP “takes flight”. All too often when someone asks me what I do for a living and I tell them I’m a psychologist who specializes in treating eating disorders, they will jokingly say, “I have one those, I eat too much” and sometimes laugh and pat their stomach. As no laughing matter, in actuality, binge eating disorder is the most common eating disorder in the U.S. An estimated 3.5% of women, 2% of men, and 30% to 40% of those seeking weight loss treatments can be clinically diagnosed with binge eating disorder. The disorder impacts people of all ages (including children and adolescents), races, and levels of education and income. “My addiction to food started at a very young age, about 4 years old. The insanity of using food to numb the fear, shame, pain and abandonment by my parents, an active alcoholic and drug addict, worked at the time to bring me comfort and enabled me to survive and function in my dysfunctional home. As I grew older and attended school I was ridiculed for being a fat kid and had few friends, I isolated more and more with the food, usually sugary, fatty, high-carb items. I ate in secret, I ate in my bedroom especially at night. I wanted to stop but could not. By the time I was almost through my first year of college I ate myself up to 265 pounds – gaining almost 75 lbs. in less than 9 months. I was gaining weight so fast I used to fall down the stairs – my sense of balance was off in more ways than one. I used drugs, nicotine, speed and crystal meth as my own treatment to curb ‘my appetite’ and it worked for a while. When I was 23, I was introduced to the 12- step program Overeaters Anonymous; I was so unhappy with myself and my weight, but I wasn’t ready and left the program. I finally went back at 31. I was desperate and surrendered to the 12-step program, doing everything they told me, lost about 100 pounds, and kept almost all of it off for about 12 years. However, I relapsed when I thought I could try a little compulsive eating and some of my favorite sugary foods. This started the insanity of food addiction for me again, put on about 80 pounds, then my husband died in 2006 and I gained more and more weight until I weighed 330 lbs. My primary care physician suggested I consider weight loss surgery and I met with a surgeon and a therapist. I started counseling for my eating disorder in 2010. After about 6 or 7 months of soul searching and therapy I decided to have Gastric Bypass surgery in February of 2011. The surgery, along with a recommitment to the Overeaters Anonymous program saved my life. I lost a little over 180 pounds and have maintained at least a 160 weight loss for about 5.5 years. If you or someone you love is struggling with binge eating disorder, know that you are not alone and that help is available. The Chrysalis Center’s team of experts offers both therapy and nutritional counseling for binge eating disorder. Kelly Broadwater, LPA, LPC, CEDS is a certified eating disorder specialist whose clinical practice is strongly focused on binge eating disorder, weight loss surgery patients, trauma, and addiction. Today kicks off National Eating Disorder Awareness Week 2017 (February 24- March 3) with this year’s theme appointed, “It’s Time to Talk about It”. It’s time to talk about how to get help. The earlier a person seeks treatment for an eating disorder, the greater the likelihood of full physical and emotional recovery. To search for treatment near you, https://www.edreferral.com/treatment. Locally if you are looking for support, Chrysalis Center offers individual, group, and nutritional counseling for people with any type of eating disorder. Our SOAR group (Staying Open about Recovery) and dietitian led meal support groups are currently open to new participants. Most importantly, it’s time to talk about hope for the recovery process. As a certified eating disorders specialist, I’ve learned the most over the years not from scholarly articles or expert led workshops, but from my amazing clients and their families who have battled these deadly diseases and overcome them. To honor those who are walking this path, this week our blog and Facebook page will be publishing writing from the real experts- those in the process of recovery. Thank you to these brave individuals for sharing their powerful stories, taking the time to “talk about it”. “For the first time in my life, I don’t have to work to find the positives. In high school, when the dark thoughts and voices began to take over, I challenged myself to sit down every night and make a list of three positive things that happened that day. Most nights, I struggled to come up with one. It wasn’t easy, but after time, this helped me focus on the positives in my life instead of the negatives. I began to see treatment and therapy as an opportunity to grow instead of a punishment. I began to view my eating disorder as a challenge to radically love myself and the world around me. I began to have hope again. The hardest part is talking about it. I kept my eating disorder a secret for three years before I confided in a friend. I stayed quiet for another two years before I reached out for help. I let five years go by while I suffered silently. I’m working today on unapologetically being open about my experience. I have nothing to be ashamed of. It has taken me six years to believe that my eating disorder is not something I need to hide. You have the strength to talk about it. You have the ability to take back control over your life. 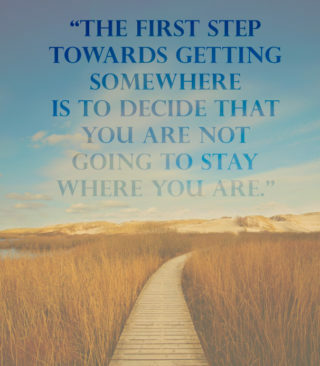 One small step towards recovery today will amaze you in the future when you look back on your journey. 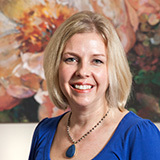 Kelly Broadwater, LPA, LPC, CEDS is a psychologist and professional counselor who holds the distinction of Certified Eating Disorders Specialist from the International Association of Eating Disorder Professionals. She co-founded the Chrysalis Center in 2003 and is proud of the team of experts she’s assembled to treat eating disorders and other mental health concerns.